Ordered a custom 6'8 Nautilus glassed at moonlight this year. Took it on a two week boat trip through the Mentawais. Pull the trigger! Email Jon Peck and make it happen. Did you go quad or tri? What�s he do on the bottom, rails etc...? I like the look of these as well & they make sense to me! Any thoughts on how they compare with the josh hall fish/Simmons???? I got it as a thruster future fin boxes for ease of travel. The rails are foiled thin. I have ridden this at beach breaks, points and double overhead reef passes. If you like ridding fishes, you will love this board. Its trims very well and produces a ton of speed. It turns much better than a fish. Has a bit of tail rocker in it so handles hollow steep waves great. I wanted to get in plumb purple like below, but it came in to dark. 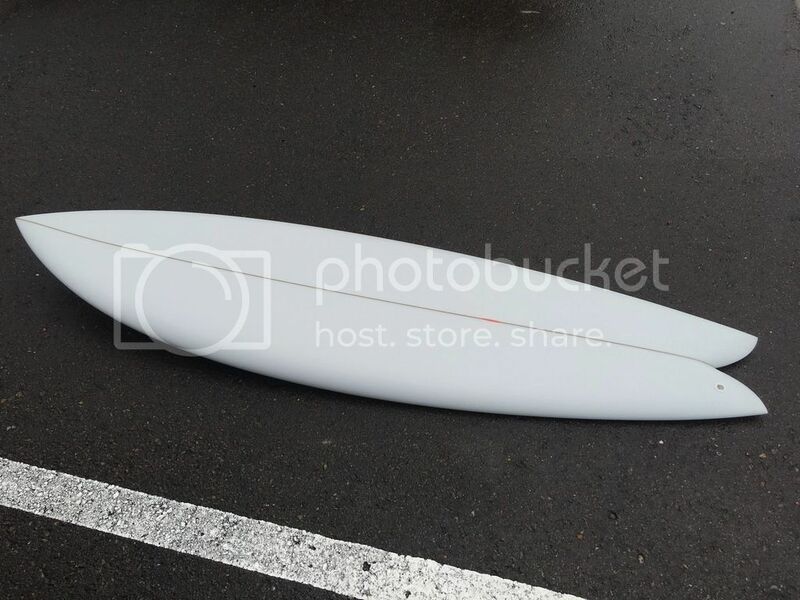 Rode a 6'6 CC shaped for himself when I was in SD for spring break. Liked it so much I got him to send it to me. Been amazing with this run of hurricane swell we've had. Paddles and catches waves easy, still getting used to turning the longer rail line a bit, but totally digging it! Icons of Surf (San Clemente) has them stock regularly. so is this a good step up? is he taking custom orders? They luk rad but super foiled. Surfride had a nice 6'6 that was bladed. Prly good for bigger longboad style wavez at oside harbor. Is $500 a good price for eps nautilus with pictured damage - they say its repaired...I think that is the repair pictured. Last edited by rts265; 10/20/17 05:17 PM. 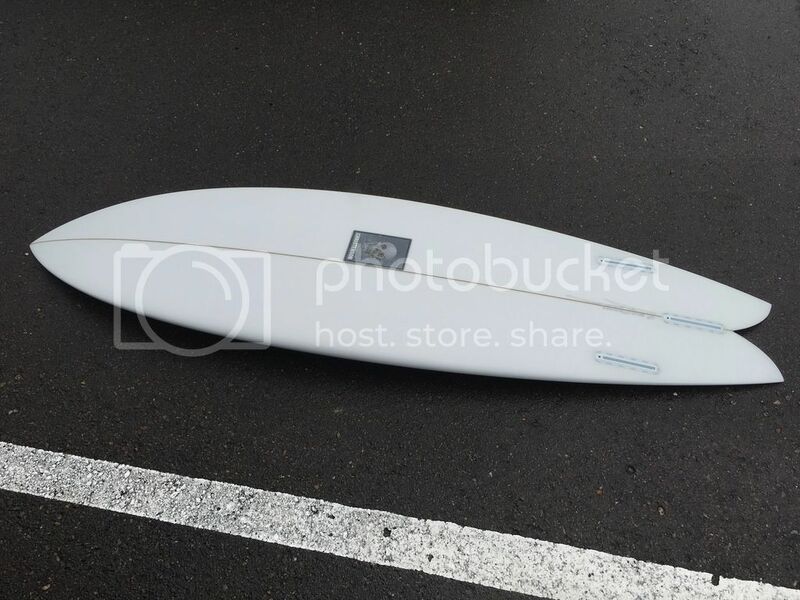 $500 seems to be the going rate for good condition used.. saw one at that Quivers shop in HB 6'4 quad flawless condition $500, but looked thick felt very similar volume, rails to 6'2 octafish they had down there. agree with havoc remarked that it would be great for big HB or some big point waves. don't know how to link instagram but check "stokenbroke" they've got a 6'6 quad looks great condition. "Love is the key to this undivided world. Babylon is bound to Fall." thanks for that. Hesitant to pay 500 for that much damage. motivation behind getting one of these is that long period swell we had a couple weeks ago. havocs comments seem to contradict what I am thinking I would use this for. yeah....want a quad. is the stokenbroke a quad? think im gonna email chris too. board looks more ideal for open face waves vs hollow drainers. nice to have all that speed so you can outrun sections easily. Bumping thread, ride reports? Anyone come across videos of someone riding one? I checked one out while picking up my Flat tracker and again like the Flat tracker they are recommending board sizes way bigger than i'm used to. 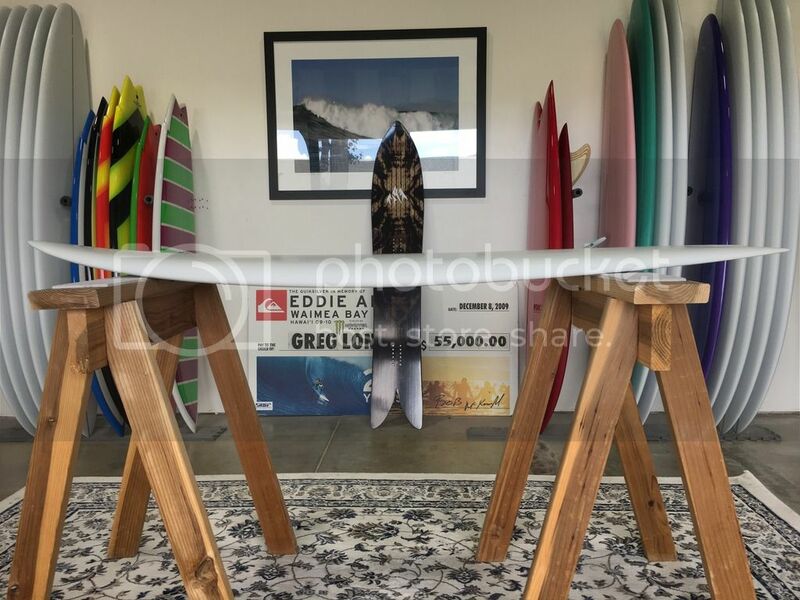 They have a sweet looking 6'4x20x2.5 thruster setup in stock, I would normally dismiss a board this size but they are saying that is a good size for me (5'7 150lb), even suggested bigger. My gut tells me it will feel like a huge boat, but maybe not? nice! Beautiful, classic, clean looking board. Maybe give us a report after you have a few surfs on it. Just curious, what type of SD wave do intend to use it for? Is it meant to be your step-up? Nice looking board for sure. Thanks! I will report back, once it stops raining and I can get back in the water. I'll be surfing Del Mar beach breaks as well as the reefs, I also plan to take it out at Oside Harbor. It is meant as a step up but i'm hoping it will work in average conditions as well, i'm not expecting it to go well when it's under chest high, that's when I break out the Flat Tracker. Felt a few of them up. Very nice boards. I felt up a few last week. I have my eye on a 6'6 or 6'8 stock. Both felt very nice under the arm. Me 5'11 185lbs and usually ride a CC 5'8 Fish. I think these go in just about anything from waist high up to pretty damn big, DOHish. Nice travel board or semi step up when its firing. Looking forward to the ride report. Curious to know how far up the middle fin is from the tips of the swallows. Looks more than the standard 3.5" - 4". A tighter fin cluster? I will measure when I get home tonight. These have a bit of rocker, right? Christenson Australia has been making much shorter ones (5'-6' range). I imagine they probably work better in the waves in Northern NSW than a short one would in California. Yes, here�s a rocker shot. Looks magic. CC's boards are unreal. I think I need a 6'10 long fish. Center fin 5� from the tips of the swallows. Very close to pulling the trigger on this. Wondering how this would compare to the the Tim Stamps Indo Fish. Finally got to ride my Nautilus in clean playful shoulder high surf. It worked really well, paddles great, gets me in to waves early, feels soo smooth, flies through sections. Such an easy board to ride, I clicked with it right away, feels stable yet maneuverable, confidence inspiring, will be a great winter board for me. In the water I forgot it was riding a 6�4, felt smaller, I had no issues duck diving, the extra foam was a plus in paddling and getting into waves, I got way less tired, had a blast! Sounds pretty rad. What your height/weight? 5�7 150lbs, my daily is a 5�8 Stamps GX or a 5�6 VS Shadow. I�m used to small boards, so going up to a 6�4 was pretty big jump, it�s my step up but was hoping it would also work average conditions which it does without feeling huge, stoked! I like this. A fish and a Nautilus sound like a good 1-2 combo. That sounds rad. I've been intrigued by this shape and others like it for a while now. Sometimes I just want to ride a board that is chill and easy to ride but if it can't turn I know I'll never ride it. I do wonder how it would compare to Stamps Indo Fish. I dunno if I've even read of anyone owning one of those, might have to go digging. They look like a fishy shape for guys that ride hpsb's the majority of the time.